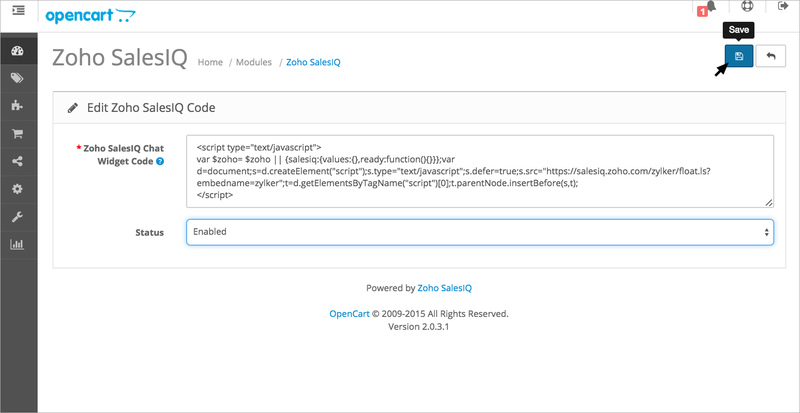 First, download the Zoho SalesIQ - OpenCart plugin version 2.0.x Zip file from here. Then, upload the Zip into your root directory and extract it. Log into the admin section of your OpenCart Site: e.g www.yoursite.com/admin. 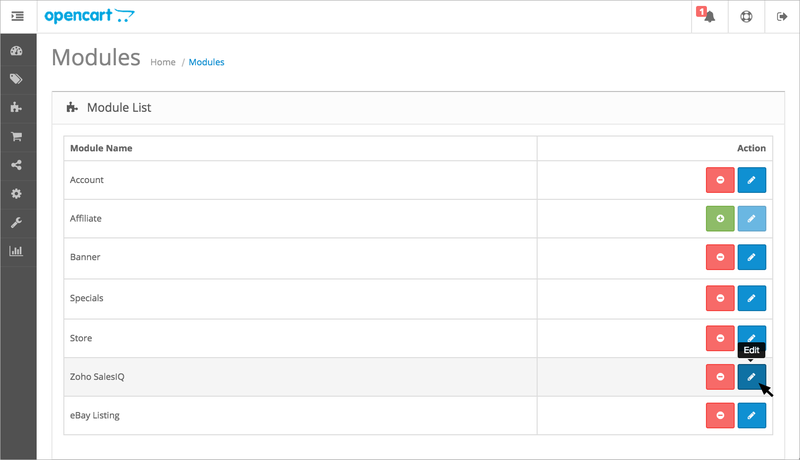 In "Extensions", select the "Modules" and click on the "install" link adjacent to the Zoho SalesIQ. After successful installation, click on the "Edit" button adjacent to the Zoho SalesIQ. Copy and paste your Zoho SalesIQ chat widget code snippet into the text area and choose the "enabled" option in the Status drop down. How to Get Zoho SalesIQ Chat Widget Code? Now, click on the Save button. 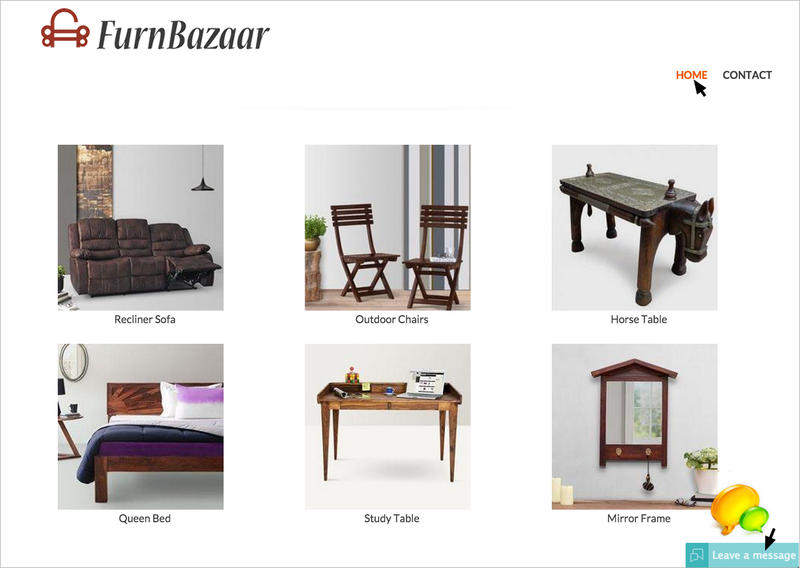 The Zoho SalesIQ is now installed in your OpenCart. How to Add the SalesIQ chat widget to the layouts in your opencart? Click on the "here" link that appears once Zoho SalesIQ is installed. 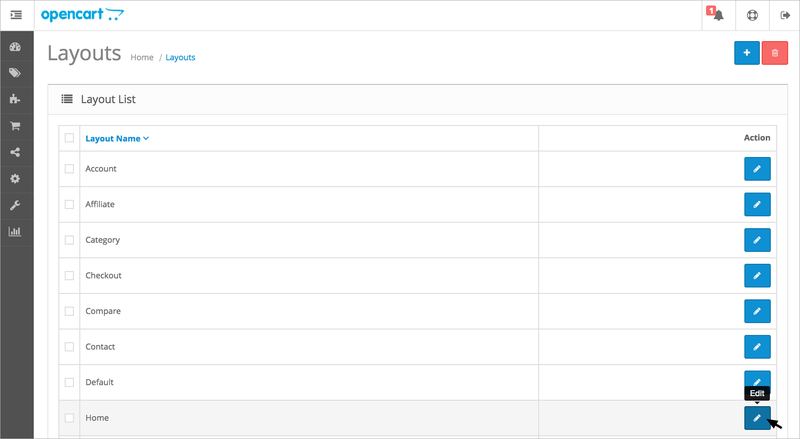 The Layouts list will then appear, select the layout where you like the chat widget would be displayed in the website. Click on the Edit option near the Layout name (Ex: The Home layout is chosen in the example screen). 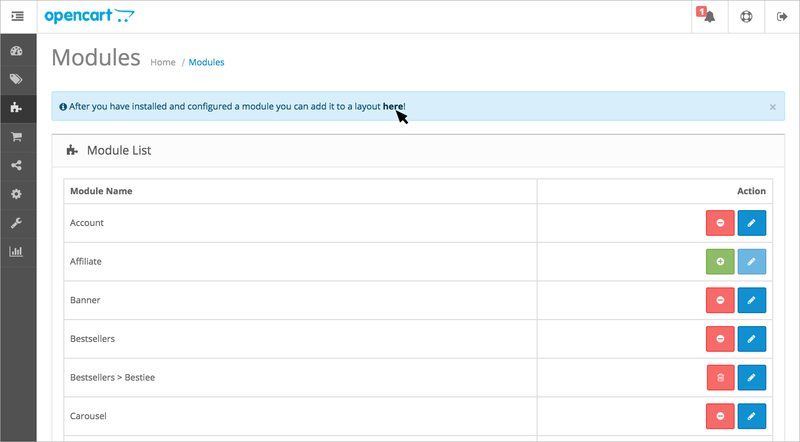 The Edit Layout page will then appear, click on the Add Module button. 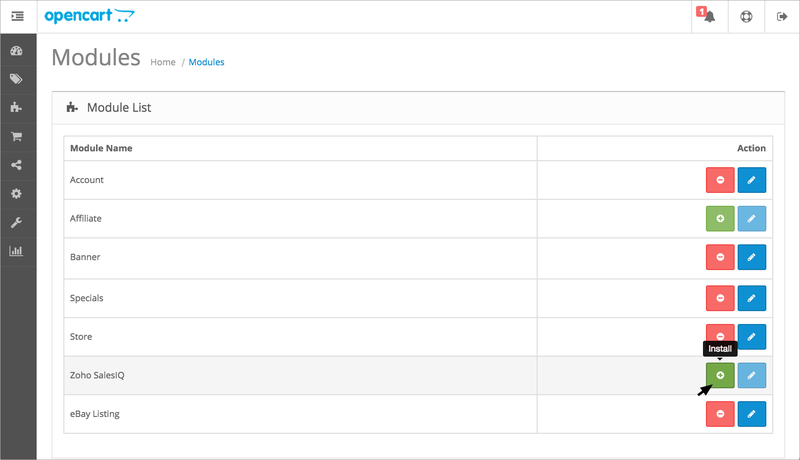 The installed modules will be populated in the drop-down, choose the Zoho SalesIQ option from the drop down. Finally, click on the Save button on the top right corner. Once the layout is successfully modified, the Zoho SalesIQ chat widget will now be displayed in the "Home" page.